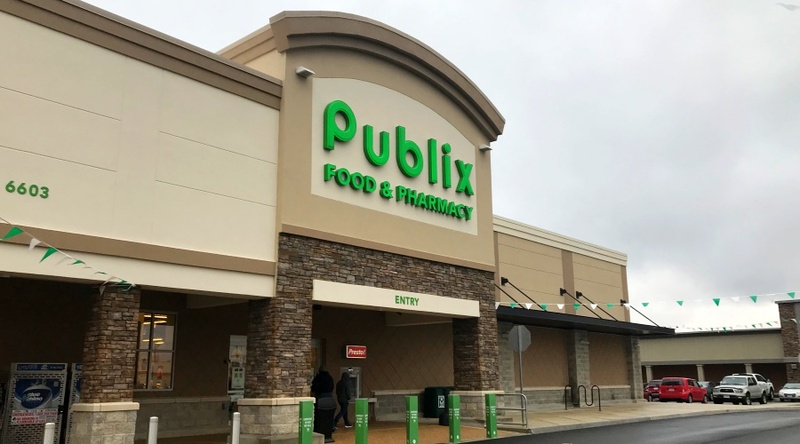 Mechanicsville, VA (January 2019) – The Morgan Companies (“Morgan”) is pleased to announce the opening of Publix at Brandy Creek Commons in Mechanicsville, VA. The 49,000sf Publix held its grand opening on Saturday, January 5th. Other tenants of the 70,000sf shopping center include Five Guys, MOD Pizza, PetValu, Hair Cuttery, and VA ABC. The center’s additional tenants are expected to open in the Spring.